When work becomes toxic it is natural to feel powerless to do anything about it. You may think because you are not the boss you are stuck but this could not be further from the truth.You do not need a title to be a leader. In fact every one of us is a leader by virtue of the influence we have over the people we come into contact with. For example you influence your friends, your partner, your neighbors, your children and even your co-workers. As leaders with influence in our own circles, we have more power to influence people than we realize. In the case of a toxic work environment you can use your energy to shift toxic energy into a more positive direction simply by exerting your influence. Toxic work environments are life-sucking places. Chances are if your work environment is toxic, trust is a huge issue and no one has each other’s backs. It’s not your fault, your culture is just messed up. Your company’s performance is going down the toilet and if you don’t think it matters, you are wrong. There is a direct link between job satisfaction and a company’s bottom line. The more toxic a workplace the greater the impact on performance! This matters because dissatisfied workers and toxic workplaces cause companies to lose money and no one likes to lose money. No one likes to go to work hating their jobs either. Very often we find companies don’t know where to begin to make changes; their problems may have gotten so big no one knows what to do to make it better. So how can you make a difference and use your influence? Take action! Begin by understanding more about employee surveys. A well-designed survey will ask all employees what they think and feel about their workplace. It will give everyone a chance to put in their own words what they like best and what they like least and what would they do to change their work environment. Just imagine how powerful those insights would be and how transparent the problems and issues would become if they could be shared with HR and senior management! Use your influence to influence people around you. Begin with co-workers by planting the idea in their minds that the company needs to survey its employees to find out what’s going on. When someone complains or says nothing will ever change, try suggesting an employee survey. Suggest it directly to your manager as a way to get to the heart of the problems. Become the champion for change in your organization. Stop being a part of the problem and refuse to join into negative talk. Focus on bringing about change. After decades of conducting employee surveys and helping businesses turn things around we know that by simply asking employees for their opinions and giving them the opportunity to express themselves, this can often be the single most important driver to bring about positive change. 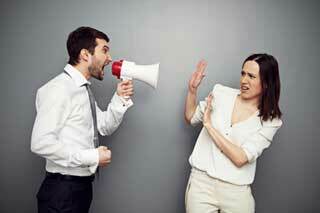 Toxic workplaces can be reformed and we see it happen all the time! Insightlink has over 30 years of employee research experience. You can check out our guide here and if you want more information we hope you will get in touch by requesting a quote, emailing info@insightlink.com or calling our engagement specialist Lynn Gore at 86-802-8095 ext 705.